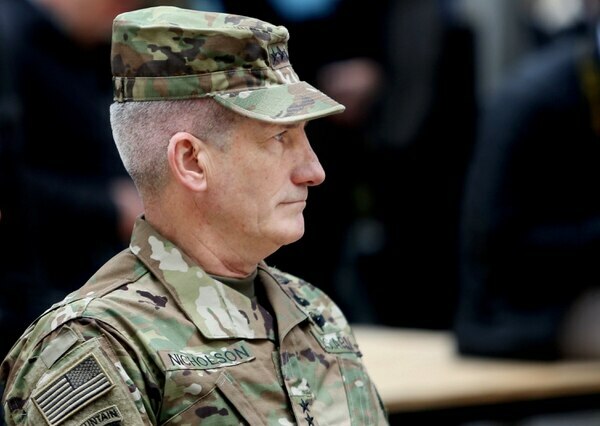 KABUL, Afghanistan — The new U.S. commander in Afghanistan has submitted his first three-month assessment of the situation in the war-torn country and what it's going to take to defeat the Taliban, a U.S. military official has told The Associated Press. And though the content of the review by Army Gen. John W. Nicholson is secret, the U.S. strategy in Afghanistan received a major incentive this month when President Obama decided to expand America's involvement with more airstrikes against insurgents, giving the U.S. military wider latitude to support Afghan forces, both in the air and on the ground. The report — and Nicholson's deployment to Afghanistan — come at a time of Taliban resurgence, with the group gaining ground in the southern provinces of the Taliban heartland. After 90 days in the country, Nicholson has now "completed his assessment and submitted it to his chain of command at the Pentagon," said a U.S.military official in Afghanistan, speaking on condition of anonymity as he was not authorized to discuss the issue. Since all foreign combat troops pulled out of Afghanistan at the end of 2014, leaving only an advisory and training contingent of international forces behind, the Afghan military has struggled in leading the fight, its 195,000 soldiers learning as they go. That is likely to figure prominently in Nicholson's review, which is widely expected to include a recommendation for more U.S. soldiers to boost training. Nicholson took over the Afghanistan command in March and has since traveled across the country to meet Afghan soldiers on the front lines and gauge their most pressing needs. Earlier, he had already served more than three years in the country, but not as top commander. His review is also expected to look at the current threat level from various insurgent groups operating in Afghanistan, assess resources to deal with that threat, and look at current and future operational needs. It's likely to take into account every aspect of the Afghan military's preparedness — from operational capability and training needs at all levels, to fundamentals like equipment, facilities, maintenance and logistics, discipline, and accountability. 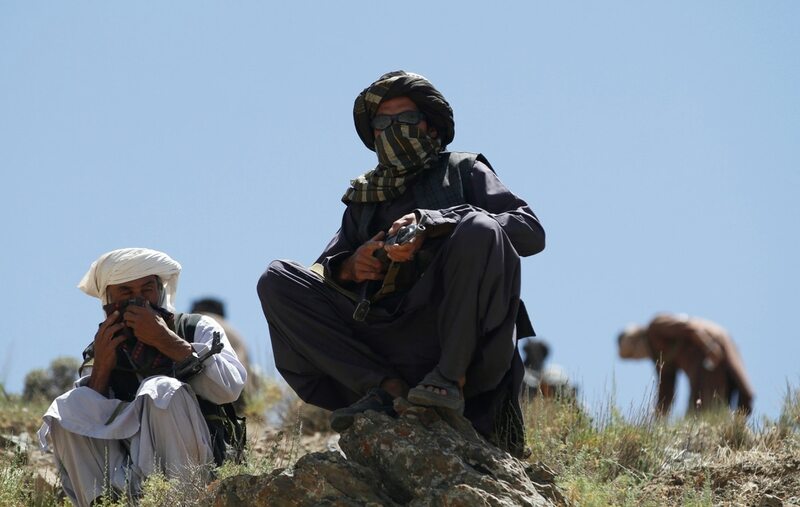 The Taliban's warm-weather offensive has shown the insurgents to be bolder and better organized, holding more territory now than at any time since 2001, when their regime was overthrown by the U.S.-led invasion, according to recent U.N. estimates. Past months have also exposed flaws in the Afghan military — weak leadership, lack of professionalism, complacency and corruption, analysts say. Both Afghan and U.S. military officials expect the summer fighting to be deadly for Afghan troops, who suffered a 28 percent increase in fatalities in 2015, compared to the year before, when around 5,000 were killed, according to an internal NATO tally seen by AP. 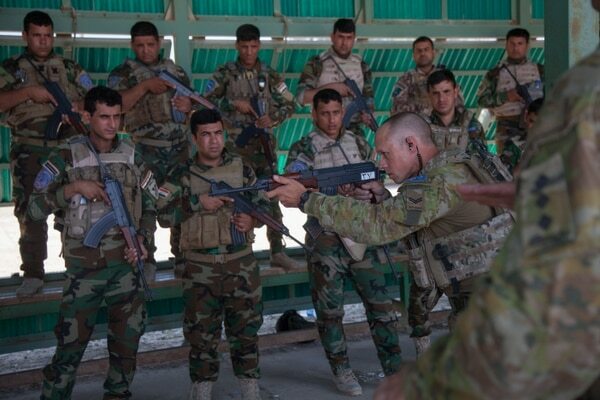 Australian soldiers, assigned to Task Group Taji, teach marksmanship principles to Iraqi soldiers of the 92nd Brigade at Camp Taji, Iraq, on May 30. Afghan Army Gen. Shir Mohammad Karimi, the former general staff chief of operations, said that to stem casualties, improve capacity and boost morale, Afghanistan needs close-air support, heavy weaponry and, most of all, training. "Training is a big issue," he said. "It has to be done even on the front line." Karimi said that ideally, each of the army's more than 100 battalions should have at least one trainer on the ground. The Afghan general was not involved in Nicholson's report. Along with the 9,800 Americans there are also 3,000 troops from other NATO countries under Nicholson's command in the Resolute Support mission to train and assist Afghan forces. He also heads a related counterterrorism mission, Freedom's Sentinel, with close to 3,000 U.S. soldiers engaged against the Taliban, al-Qaida and the Islamic State group. Afghanistan received four light-attack Super Tocano aircraft earlier this year to boost air power. Karimi said Russian Mi-35 helicopters would also be effective in Afghanistan's rugged terrain of mountains, valleys and forests. Heavy fire power, including mortars, are essential in this terrain, he added, along with equipment to counter IEDs, or improvised explosive devices that have proved deadly to American troops in both the Afghan and Iraq wars. Intelligence equipment is also badly needed to improve monitoring of militant communications — "and, of course, the trainers for all these things," Karimi said. The Afghan army's wish list is no doubt extensive, but Obama's decision this month was a tacit acknowledgement that the Afghans need more help than the Pentagon had originally thought they would at this stage of the war. The Afghan forces' major weakness has been a lack of offensive capability, which has handed the initiative to the Taliban and allowed them, for example, to take control of a the northern city of Kunduz last September — albeit just for three days, until U.S. special operations forces intervened, backed with air support. Political analyst and former Afghan presidential adviser Hismatullah Qaneh also advocates "strengthening the army with basic technology and weapons." The United States has arguably already stepped up its involvement in the Afghan war, with the drone strike that killed Taliban leader Mullah Akhtar Mansour as he was driving through neighboring Pakistan's Baluchistan province last month. But Mansour was replaced by hard-line cleric Mullah Haibatullah Akhundzada, who is as opposed as his predecessor to joining any peace talks with the Kabul government. Across southern Helmand, Kandahar and Uruzgan provinces where the Taliban have stepped up the fight, local community leaders and politicians say that rather than relying on foreign advisers every step of the way, they prefer a permanent solution: a well-equipped Afghan army able to fight alone. Helmand tribal elder and former lawmaker Ghulam Mohammad said the Taliban were becoming "stronger and stronger" after 15 years of insurgency. "If we don't stop them now, it will be too late," he said. Associated Press writers Mirwais Khan and Sonia Azatar in Kabul, Afghanistan, contributed to this story.